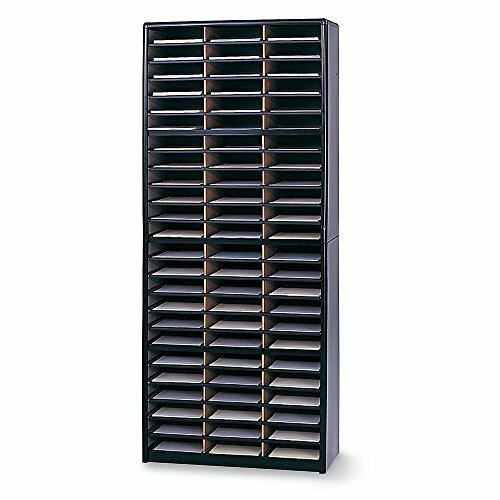 SAFCO Value Sorter Organizer is a low-cost solution for storing forms, literature, catalogs, etc. Strong steel shell surrounds corrugated fiberboard compartments. 9-3/4"Wx12-1/2"Dx2-1/2"H compartments hold letter-size file folderseach compartment will store up to 550 sheets of paper, as well. Wide shelf fronts feature label holders for quick identification of contents (labels included). Ships unassembled. If you have any questions about this product by Value Sorter, contact us by completing and submitting the form below. If you are looking for a specif part number, please include it with your message.